Those who are looking for top-quality soft drink manufacturing needn’t look very far. Tropical Bottling Company has the tools, experience, equipment and resources to provide you with all of the services needed to expertly manufacturer and package your products for shipment to the US, Caribbean or nearly any local, national or international destination. We are the canning company to trust with all of your soft drink canning and co-packing services. The leadership team at Tropical Bottling Company is poised to provide you with expert recommendations on a wide variety of topics including beverage formulation efficiency, canning processes, labeling, shipment and more, and we gladly work with both seasoned beverage makers and beverage startups. 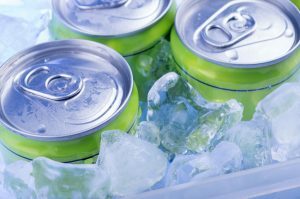 As a full service canning company, we offer a range of services specifically designed to make soft drink manufacturing a smooth and easy process. While we also offer hot fill and pasteurization processing, most soft drinks require a simple cold fill process, which we have perfected at Tropical Bottling Company. Our canning company offers cold fill processing with a variety of packaging formats, and our team can help you determine which format is best for your product and its unique needs. We help companies save money on pre-printed cans by providing customers with in-house or 3rd-party labeling services. By labeling cans, you can save tremendous amounts of money on pre-printed cans, and the labels themselves are often able to showcase more graphic detail than would be possible by printing cans. In addition, we are glad to provide custom palletizing to ensure that your shipments contain the exact flavors and quantities desired, which helps to further offset costs for beverage makers of all sizes. Tropical Bottling Company has more capabilities than many US canneries. We are close to the ports making exporting products quick and easy, and we will can a wide range of beverage products. Tropical Bottling Company is proud to serve those in Florida, Georgia, South Carolina, North Carolina, Tennessee and throughout the US, so contact us today if you are a beverage maker in search of the highest quality soft drink manufacturing at prices your company can afford. We also gladly can teas, flavored waters, coffees, sparkling juices, nectars and more, so whatever your need, we can help!